Weed-B-Gon weed killer is used to kill more than 250 lawn weeds including dandelions, clover and creeping Charlie. Once you have killed the weeds in the lawn, you may have bare patches where the weeds died. If this happens, you can plant grass seed within one month from treating the lawn. The first application of Weed-B-Gon is applied on a day when the temperature will be less than 90 degrees Fahrenheit and rain is not forecasted for at least 24 hours. The first application may not kill all the weeds, so a second and final application can be done 14 days after the first application. No more than two applications of Weed-B-Gon can be applied to the lawn in one year. Do not walk on the grass while it is wet with the weed killer. 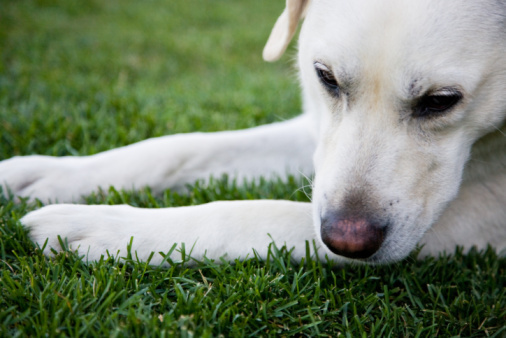 Keep pets and children off the grass until the spray has dried. Once the grass dries after an application of Weed-B-Gon, anyone including pets can walk on the grass. 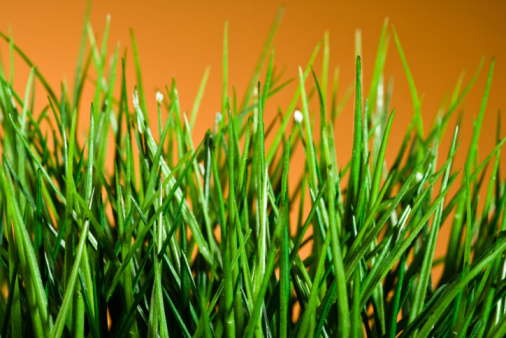 The grass can be mowed 24 hours after applying the weed killer. Grass seed can be sown 14 days after the last application of Weed-B-Gon. Before planting grass seed, add a starter fertilizer to give the grass seed the nutrients needed to grow after they germinate. If you don't want to use a fertilizer, amend the soil with compost to give the soil the rich nutrients needed. Let the grass grow to a height of 4 to 5 inches before mowing the new grass for the first time. Only mow 1/3 inch off the top of the grass. If you need to have the grass shorter, mow more frequently, only removing 1/3 inch each time. Over-seeding the lawn will help keep the weeds from growing the following year if any weed seed happens to be left in the soil or floats into your yard with the wind.